Full casting has been announced for the concert staging of King, a musical about Martin Luther King Jr, at the Hackney Empire on 30th June and 1st July. 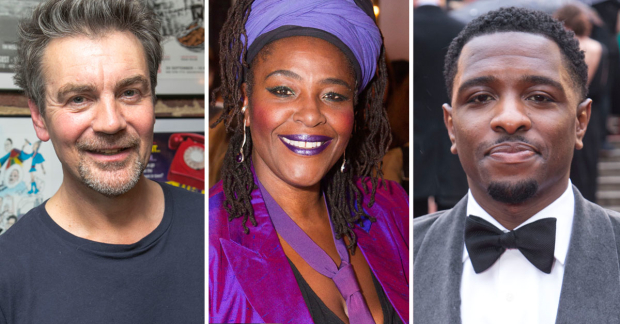 Joining the previously announced Cedric Neal as Martin Luther King Jr, Debbie Kurup as Coretta King and Sharon D Clarke as Alberta King, will be Alexander Hanson as John F Kennedy and Clive Carter as J Edgar Hoover. They are joined by Carole Stennett as Rosa Parks, Adam J Bernard as Stokely Carmichael and Matt Dempsey as Robert Kennedy. Completing the company is Naana Agyei Ampadu, Daniel Bailey, John Barr, Angela Caesar, Raffaella Covino, Adrian Hansel, Olivia Hibbert, Sinead Long, Jo Servi and Johnathan Tweedie. Marking the 50th anniversary year of the King's death, Martin Smith's musical tells the story of King's marriage to Coretta Scott and their lives together fighting for the rights of African American people in the US. It will be directed by Susie McKenna in a co-production between Hackney Empire and the London Musical Theatre Orchestra.